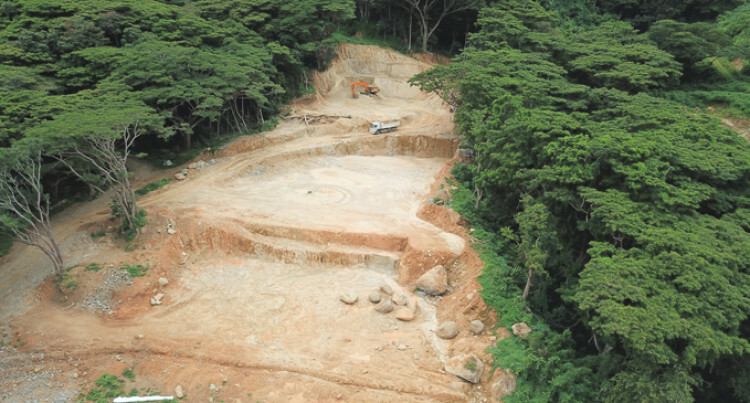 A drone photo of the area which is being prepared for the construction of a tunnel at the Tuvatu Gold Mines in Sabeto. Tuvatu Gold Mines remains one of the highest grade, undeveloped gold mines in the world and continues to remain in the international spotlight. Exploration activities have highlighted that gold, and possibly base metal mineralisation extends considerable distances away from the existing resource at Tuvatu in Sabeto. Lion One Managing Director Stephen Mann, in an interview with the Fiji Sun, said that all the work completed to date reiterated that Tuvatu was a major project which Lion One hopes would be producing gold for a long time into the future. “Lion One’s entire focus is the development of the Tuvatu Gold project,” Mr Mann said. “To date the company has invested over $110 million dollars and the company expects to invest a similar amount over the next 18 months. Tuvatu Gold mines sits in the upper reaches of the Sabeto mountain range between Nadi and Lautoka and is also home to the famous mountain formation of the Sleeping Giant. The underground exploration and development of the Tuvatu Gold Mine project project was carried out by its previous owners, Emperor Gold Mines in 1997 after which a feasibility study was done and completed in 2000. The project was acquired by Lion One Metals from Emperor Gold Mines of Australia in 2011. Lion One holds a 200 square km exploration licence package covering the entire Navilawa volcano, with the Tuvatu mining lease at its centre. It is 100 per cent owned, fully permitted for construction, mining and processing operations with 21-year surface lease, subject to a 5 per cent Government royalty and 3 percent export tax. Lion One’s CEO Walter Berukoff leads an experienced team of mine builders and has owned or operated over 20 mines in 7 countries. As the founder and former CEO of Miramar Mines, Northern Orion, and La Mancha Resources, Mr Berukoff is credited with building over $3 billion of value for shareholders. How are operations going on at the mines? 2018 has been an exceptionally busy year for Lion One Limited. Late in 2017, Lion One awarded the civil earthworks contract to a local Fijian company (AR Quarry) to complete the civil works required for the process plant site and surface infrastructure. This included the ROM pads, roads and general access.This work is ongoing as it has taken more time than expected due to the longer wet season early in 2018, intermittent heavy rain during the dry season, and unforeseen geotechnical issues related to the foundations. 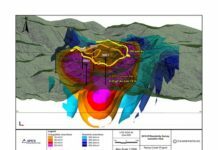 Lion One had completed in excess of 40 geotechnical diamond drill holes into the small footprint of the plant site and was aware of a number of large boulders up to 7 metres in diameter below the soil cover. But following the initiation of the excavation of the pads it was quickly seen that there were many more boulders than expected. This has considerably slowed down the work programme as most of the boulders were required to be drilled and blasted to enable the pads to be levelled ready for the subsequent building construction. Lion One has also engineered, manufactured and replaced two significant bridges along the public road to the Tuvatu Mine site to allow access for heavy equipment and safe access for all the communities and stakeholders in the area. Similarly, Lion One has diverted approximately 400 meters of public road around the plant site to ensure the highest level of security and safety when the operation commences. The company continues discussions with the Fiji Road Authority for the upgrade of the main public road into area. The final four kilometers of road needs significant work to ensure safe passage for people and equipment working on Tuvatu as well as tourists, villagers, logging and gravel extraction trucks, all of whom use the same access road. In order to ensure recoveries in the process plant are optimised, further metallurgical studies have been undertaken during the year. Every additional study adds to the Company’s knowledge of this complex orebody which includes over 50 mineralised lodes. Further mineralised lodes have been identified through the ongoing exploration activities, and as a consequence, the process plant has been reoptimised to cater for all possible ore types expected in the area. With minor changes to grind size the Company is now confident that is can increase the process plant gold recovery even further. Prior to 2018, the Company had designed an extremely safe and cost effective mining operation. Subsequently, due to more recent mining innovations, it has been determined that the deposit can be exploited by other methods, but still ensuring the mine is operated in the safest, environmentally friendly and economically viable manner. Lion One contracted Perth based Entech to review the mine plan and propose changes accordingly. The operation is now planning to use predominantly mechanised equipment, and has increased proposed output to 1000 tonnes of ore per day whilst also increasing the safety aspects of the operation. Consequently, the process plant has also been upgraded to a throughput of at least 1000 tonnes per day. Although the change of strategy resulting from these additional and ongoing studies has delayed development for a short period, the updated engineering and mining studies will ensure the longevity to the overall operation. Fiji does not have any commercial geochemical or metallurgical laboratory. To date, all samples (drill core, soil and rock chip, trench and costean samples) are sent to a commercial laboratory in Australia (ALS) for geochemical analysis, at a significant cost which includes customs clearance, freight, transport and analysis. Similarly, the turnaround time for analysis of samples sent overseas can be over a month from the time the sample is collected. Similarly, metallurgical testwork samples are sent to either Australia or Canada. To ensure the Company receives both geochemical and metallurgical results in a timely manner, especially once mining commences in 2019, Lion One completed the design and then commissioned a local company to build Lion One’s own onsite state of the art laboratory which will be capable of carrying out all geochemical and metallurgical testwork going forward. The laboratory is nearing completion and will be commissioned early in 2019. The completion of the laboratory will ensure analyses are undertaken at a much lower cost, whilst the turnaround will be one or two days, instead of weeks. The capacity of the laboratory will enable all exploration, mine and plant samples to be processed efficiently, with spare capacity if and when the operation is upgraded. It is intended that the laboratory will become internationally certified within the next couple of years, and will also be capable of undertaking contract work for third parties. The Company has employed a very experienced team to operate the laboratory, and will look at further strengthening the team once mining and processing commences. The majority of power produced in Fiji for local consumption is created from hydro, with additional power from wind, solar and contract diesel generators. Nevertheless, the energy grid in Fiji does not have the capacity to provide the Tuvatu project with the required power to run the process plant and underground operation. Lion One will have its own diesel power plant to supply the necessary energy for the operation. All that said, during 2018 the Company significant advanced its discussions with a European solar power company to form a joint venture to provide cheap power to the Tuvatu project. Whilst diesel power will still be necessary in times when solar power cannot be generated, the addition of solar will significant reduce the Company’s power costs. Mineral resources are identified over many years and due to a long process of surface exploration followed by diamond drilling. Over the past few years, Lion One has completed approximately 30,000 meters of diamond drilling. To ensure Lion One has access to the appropriate equipment to increase its mineral resources well into the future, the Company has purchased all the drilling assets of Geodrill, a Fiji registered company who has undertaken the majority of the drilling programmes for the Company since late in 2012. The equipment includes an underground drill rig capable of drilling in excess of 100 meters and a surface drill rig capable of drilling over 800 meters, rods, spare parts, downhole survey cameras, downhole temperature monitors, vehicles and support trucks. Lion One has also employed several very experienced drillers. This strategic acquisition will ensure the Company has available, cost effective diamond drilling capabilities well into the future. Whilst development work has progressed on many fronts throughout 2018, the Company has retained a key focus on exploration, particularly within and immediately adjacent to its 384 hectare mining lease. The primary focus of exploration activities has been to confirm zones of high grade gold anomalism with the existing mining lease, but distinct from the main zone of mineralisation at Tuvatu. By way of excavator cut trenches and tracks to expose the bedrock, the Company has successfully geologically mapped structures, rock lithologies and mineralised lodes up to 1500 meters to the south of the existing resource. Numerous mineralised lodes have been identified with a peak gold value of 502 g/t Au returned from a rock chip sample adjacent, but on a separate lode to a previously returned rock chip result of 125 g/t Au. The prospects south of Tuvatu show well developed high grade gold vein structures. drilling in excess of 100 meters and a surface drill rig capable of drilling over 800 meters, rods, spare parts, downhole survey cameras, downhole temperature monitors, vehicles and support trucks. Lion One has also employed several very experienced drillers. This strategic acquisition will ensure the Company has available, cost effective diamond drilling capabilities well into the future. With more than 20 mineralised structures and extensive high grade samples, this prospect area represents excellent exploration targets. 2018 regional activities has focussed exploration and delineated a number of targets for drilling with the Company owned diamond drill rigs in 2019. 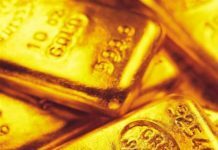 What is the latest feedback on gold deposits – is it encouraging? All the work completed to date reiterates that Tuvatu is a major project which Lion One hopes will be producing gold for a long time into the future. Exploration activities have highlighted that gold, and possibly base metal mineralisation extends considerable distances away from the existing resource at Tuvatu. The Company has shown its faith in the project by committing very significant expenditures into the project in the past and planned expenditures into the future. The construction of a world class laboratory, the acquisition of two drill rigs, and the employment of numerous additional staff reinforce the Lion One’s long term commitment. Lion One is excited about this project and about the prospect of building a safe and environmentally friendly operation is such a supportive jurisdiction as Fiji. How much digging has been done so far? 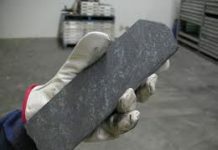 No direct mining has been undertaken to date. Nevertheless, the Company has local contractors onsite moving tens of thousands of tonnes of rock and dirt preparing the area for the major construction which will commence in 2019. Specific underground mining will commence in mid-2019. The Company has purchased most of its specialised underground mining fleet and this should arrive in country mid-year. When do you expect to start producing gold? The first gold bar will not be produced from Tuvatu until sometime in 2020. It takes a significant length of time to build the complex process plant and to commence underground development prior to the first gold production. Mining will commence this year, but the ore will be stockpiled ready for processing for when the process plant construction has been completed. It is the intention of Lion One to have a large stockpile of gold bearing mineralised ore available when the process plant is commissioned to ensure there are no future delays due to natural causes such as cyclones. The process plant will include three stages of crushing, and then grinding which will break the rock down to a fine powder. The crushed rock will then be subject to a gravity circuit, flotation and leaching so that most of the gold can be extracted. Have you since employed more workers? The Company employs about 50 long term full time employees, and a number of casual employees. Very recently, the Company has employed a very experienced team to run its laboratory, two very experienced drilling teams including drillers and offsiders, and an inhouse lawyer. All these employees are local and demonstrate that Fiji can produce top class people in many fields of work. The Company also contracts local companies for the building of the laboratory, bridges and roadwork and the site civil earthworks. In all, this accounts for a further 40 or more local employees. The Company has a policy to employ locals wherever possible, and as a consequence has only two or three expatriate staff working permanently in Fiji. Once underground mining commences later in 2019, the number of local staff will triple, and by the end of 2020, the Company expects to be employing between 250 and 300 local staff, as well as others through various contracts. How are relationships with landowners? Lion One has always prided itself with the work it has undertaken to keep the local community informed of its activities. Since the Company commenced activity in the area around 9 years ago, the Company has completed several hundred consultation meetings with the various communities, stakeholders and regulatory bodies. The Company has retained strong ties with the local communities and employs from the immediate area as often as possible. The Company is very appreciative of the support and interest shown by the landowners and the local communities. Have you expanded the mine area? Lion One is continually working to expand the potential area of its future mine activity and envisions a very long life operation in the area which will benefit all in Fiji. That said, the immediate focus is to develop the existing resource and continually work to replace those resource as they are mined. As such, the Company sees that exploration for further resources of gold, silver and possible other minerals such as copper, lead and zinc is an integral part of its ongoing activities.